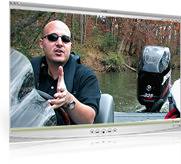 Our FREE and professionally produced bass fishing videos teach, entertain and excite in full HD. Here you'll find videos covering the latest techniques, modern strategies and even bass fishing humor. Looking to buy some new tackle but aren't sure what to pick up? Read our tackle reviews regularly for an honest look at products. Here you'll find how-to guides, articles, provocative commentary and even our bass fishing radio show. Any bass fishing topic is fair game, but only the good stuff gets in! More of a learning experience than an online store. Get an up-close and inside look at the products on the market that outshine the competition. 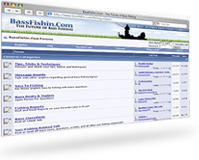 Our intensely active forums community is your place to discuss a wide range of bass fishing topics. 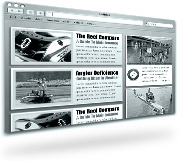 A great tool for learning and advancing your knowledge as an angler. Highly detailed photos of fishing tackle from every angle. Win prizes by supplying the funniest caption to a captionless fishing cartoon. Check out our member's bass boat profiles and read their honest opinions. Your place to get the latest scoop on what's working and where on your waters.